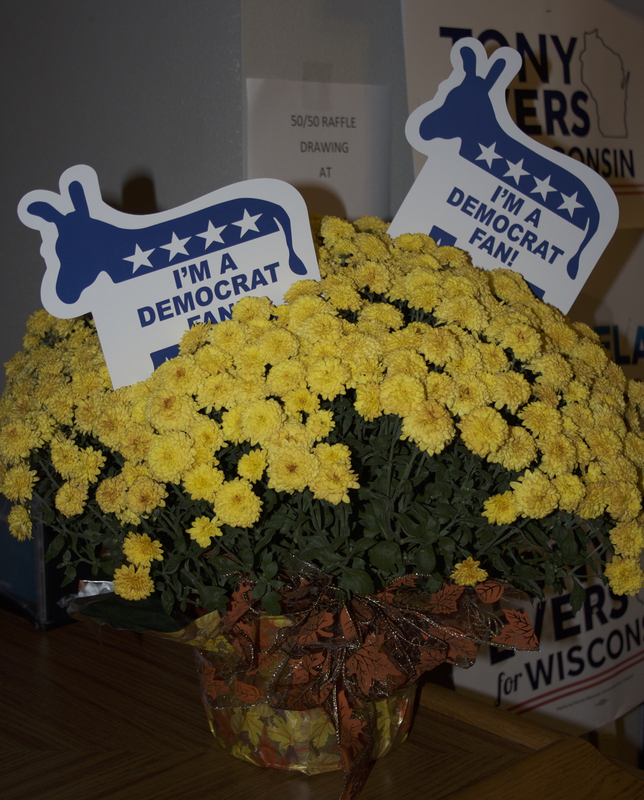 The LCDP Fall Dinner was held on Friday, October 19 at the Brickhouse in La Crosse. 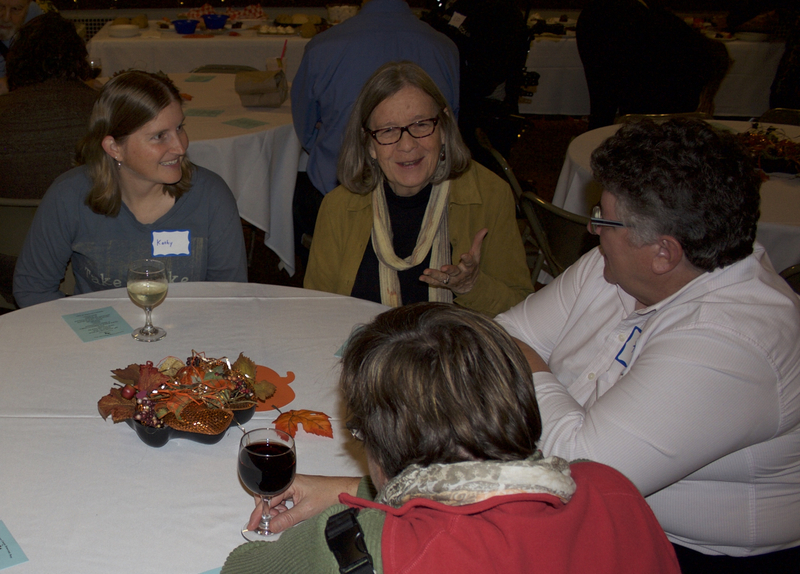 With appearances by Jill Billings, Steve Doyle, Jen Shilling, Ron Kind, and keynote speaker Sarah Godlewski (Democratic candidate for State Treasurer), and with plenty of good food and camaraderie, a fine time was had by all. 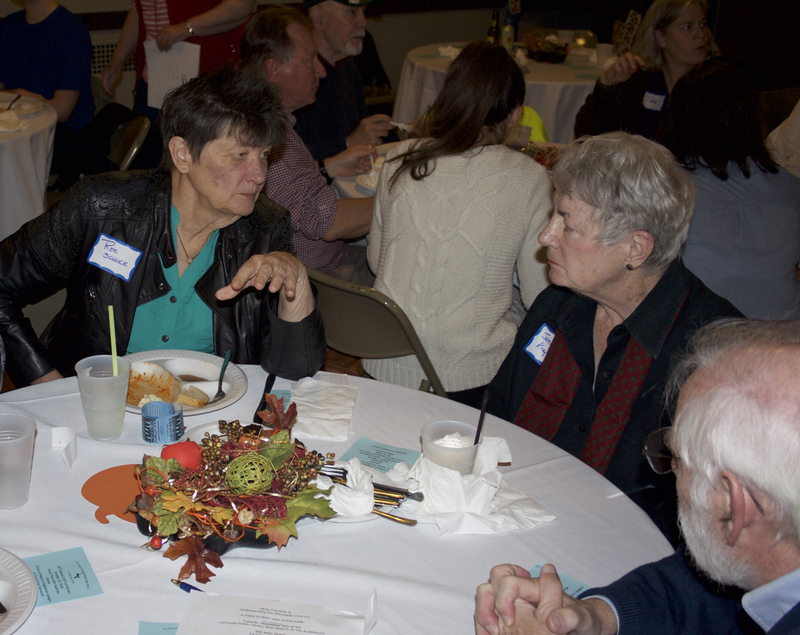 The Fall Dinner crowd fills the Brickhouse. 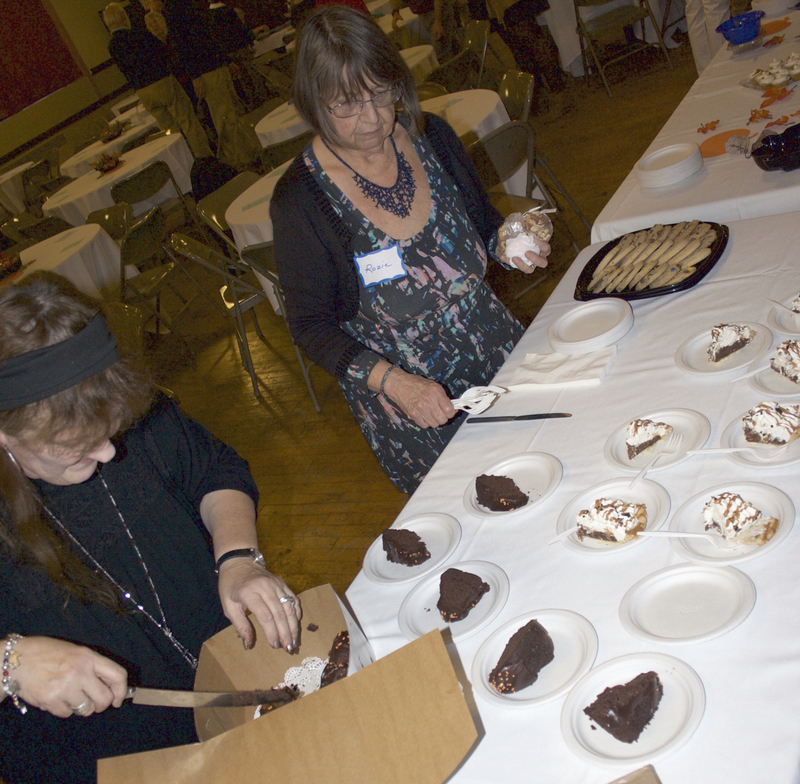 Barb Clark and Rozie Brooks arrange the deserts. 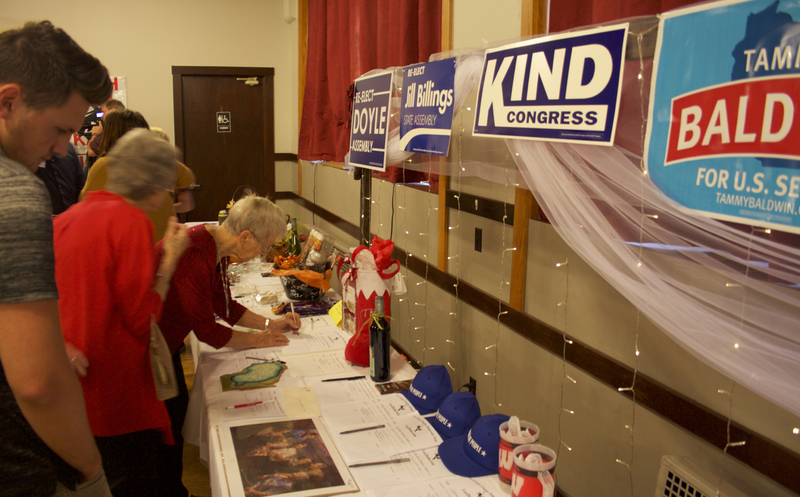 Inspecting items in the silent auction. Kathy Allen, Sara Bentley, Kim Vogt, and Debra Cumberland. 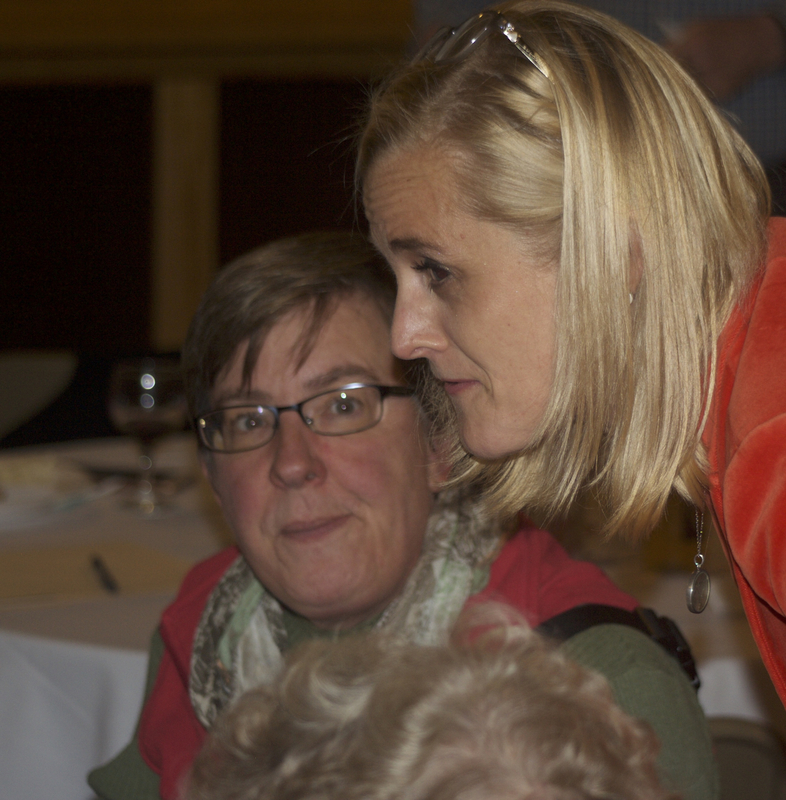 Sarah Godlewski leans in to a conversation as Debra Cumberland looks on. Cathy Van Maren and Rozie Brooks. 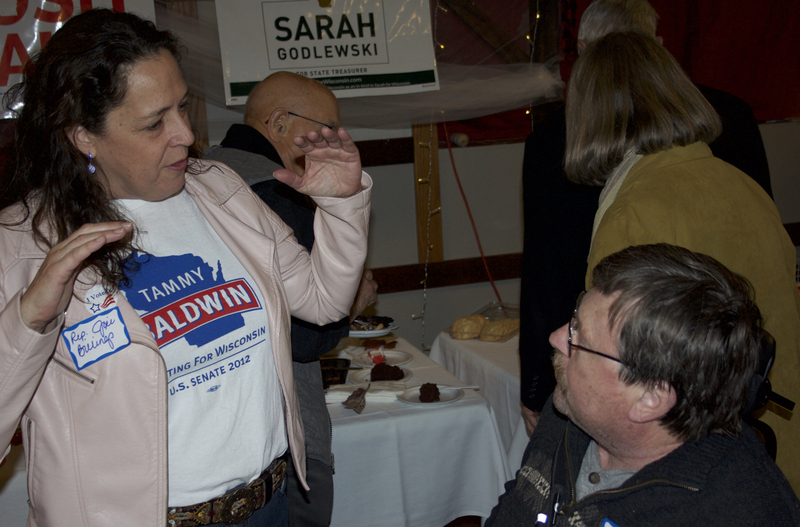 Assembly Representative Jill Billings and Ed Burgess. 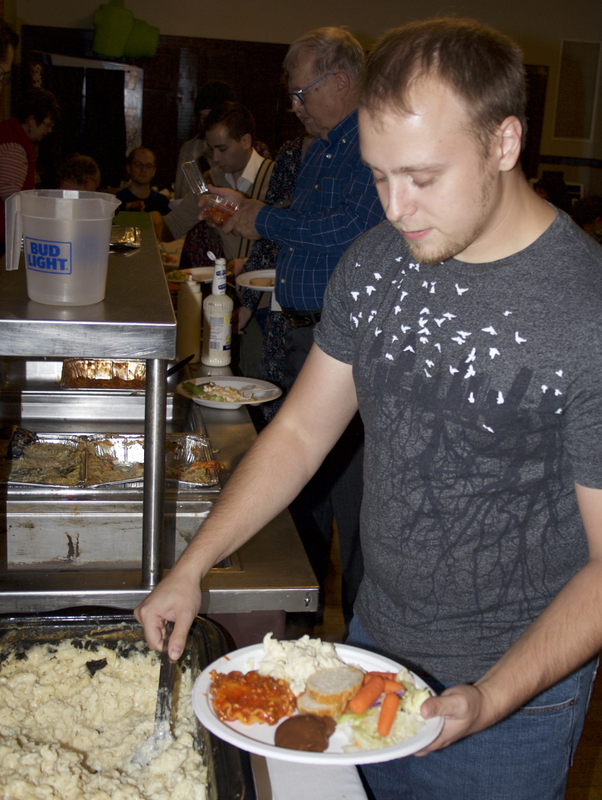 Austin Goodrich adds to his meal. 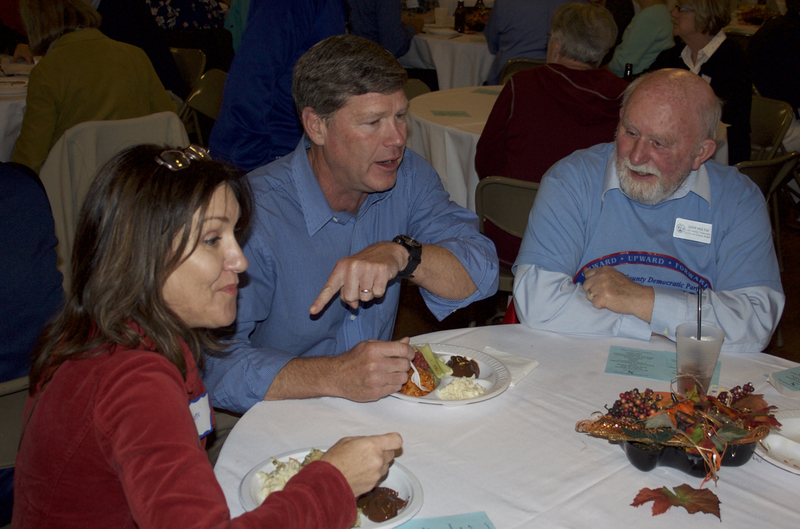 Congressman Ron Kind is flanked by his wife Tawni and Dave Holtze. 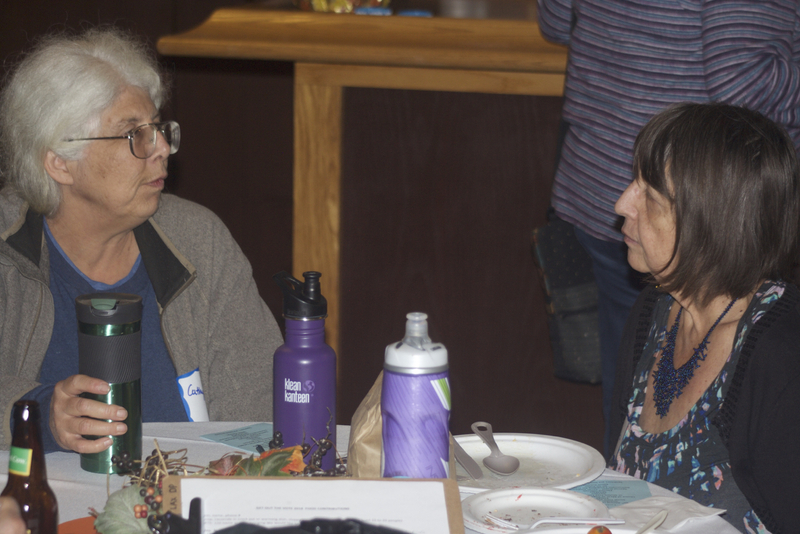 Roz Schnick involved with a discussion with Juna and Tom Krajewski. 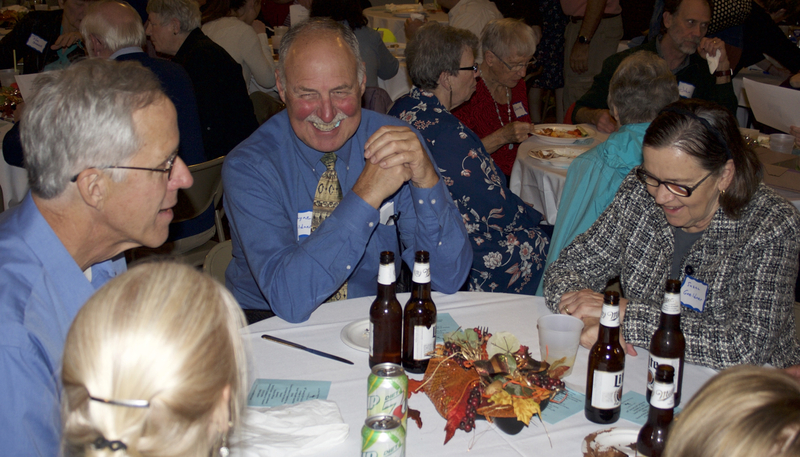 Mark Neumann, Wayne Goeldner and Susan Goeldner share a laugh. One of our door prizes. 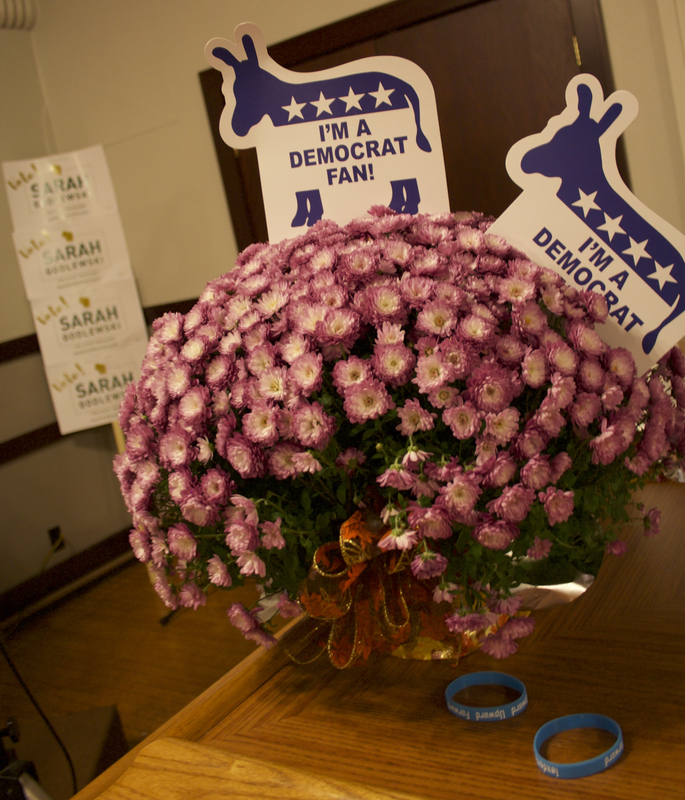 The other door prize, which included the now-rare fans. 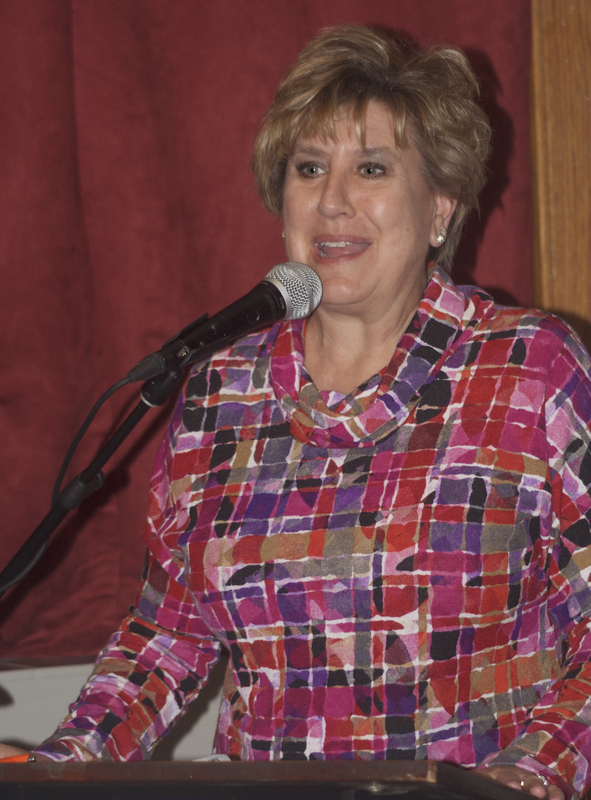 State Senate Minority Leader Jen Shilling talks about hopes of becoming Majority Leader. 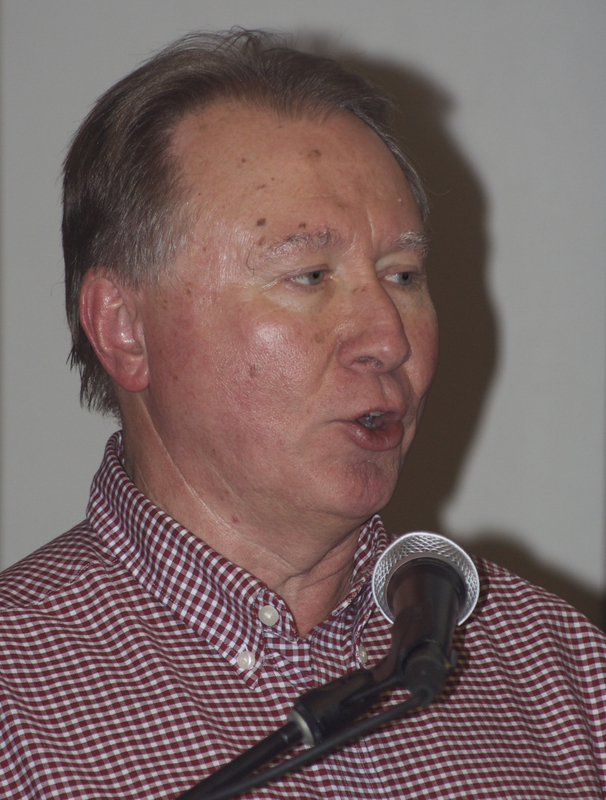 Assembly Representative Steve Doyle addresses the crowd. 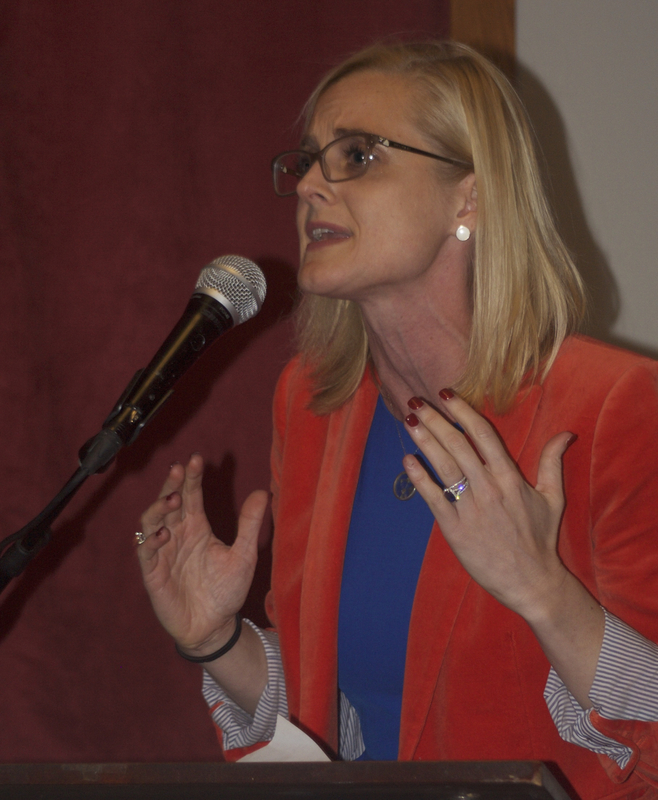 State Treasurer candidate Sarah Godlewski explains the importance of the upcoming election.